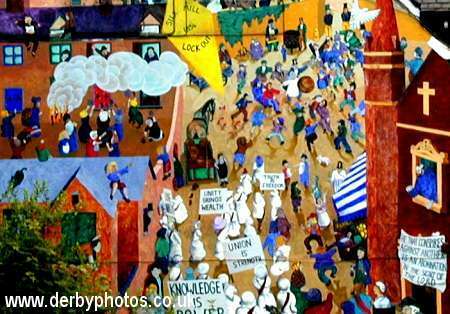 Quiz on Derby, England by Andy Savage - Do you know your Derby? Your chance to prove that you know Derby better than anyone else. This quiz is just for fun, there is no prize but you can feel proud if you get all the answers without looking at my Derby website first. but lets put you to the test using my photos. Below is a collection of questions I have put together, See if you can answer them. Some of the questions are very easy so children can answer them and some are very difficult to answer. Only the observant will win! Sorry there is NO PRIZE. and start looking, try and answer them without doing that. You can confirm your answer by clicking on "Click here for the answer" next to each photo. If the text is PURPLE then it means you have not looked at the answer yet. If it is GREEN it means you have looked at the answer. The Answer windows will show for 10 seconds and close automatically, If they do not close after 10 seconds, please close them yourself before moving to the next question. then click on the main index button at the bottom of this page. All of the photographs on this site have been taken by me using a digital camera. The Photographs, questions and answers on this site are copyright Andy Savage and may not be used on another site in any form. If you wish to link to this Derby quiz then please let me know, I will be happy to help you. Please wait for ALL pictures to load before clicking on "Click here for the answer" otherwise it will stop the remaining pictures showing, If this does happen, just press F5 and they will fill in quickly. 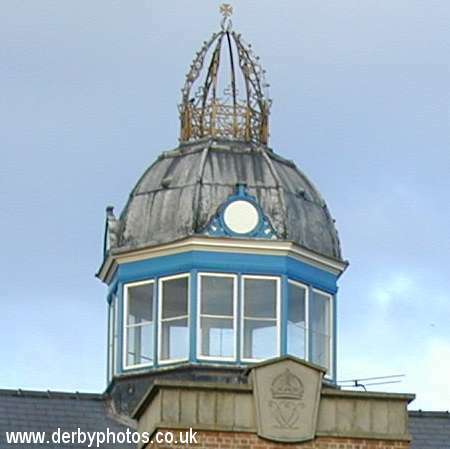 a) What building would you find this ornate top on? b) What is this building used for today? * If the above is text is PURPLE then you have not looked at the answer yet. If it is GREEN it means you have looked at the answer. The Answer window will show for 10 seconds and close automatically, If it does not close after 10 seconds, please close it yourself before moving to the next question. a) Where would you find this painting? 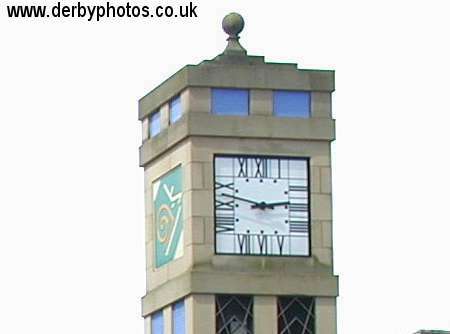 a) Where would you find this clock? b) What year was it built? 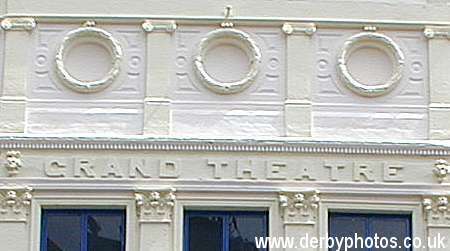 a) What street would you find a building,which has this on the front of it? Are the photos missing from these questions?, If so press F5 to fill them in. 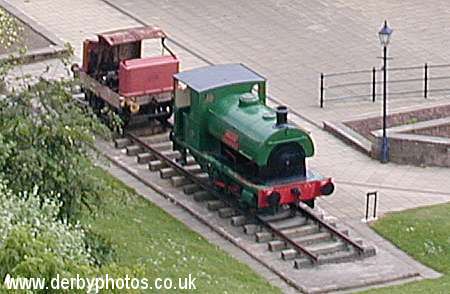 a) In what area would you find this train?